FORECAST… rain… wind…. temperature falling…. PERFECT! 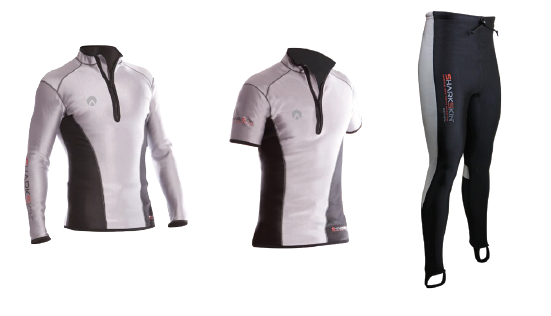 Sharkskin is a revolutionary technical water sports garment suitable for many different active water sports. wetsuit. Even on a warm day wind chill can quickly cool you down. 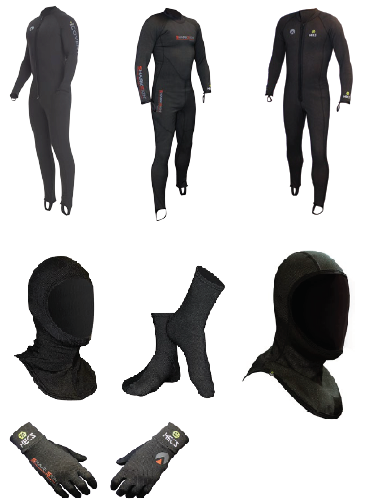 Unlike conventional wetsuits, the windproof membrane in Sharkskin acts not only to keep the wind out, but also breathes to reduce overheating. 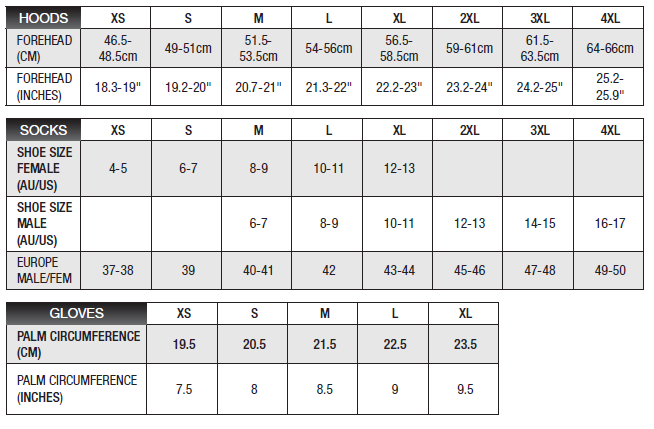 The inner layer maintains warmth and also wicks away moisture for added comfort. 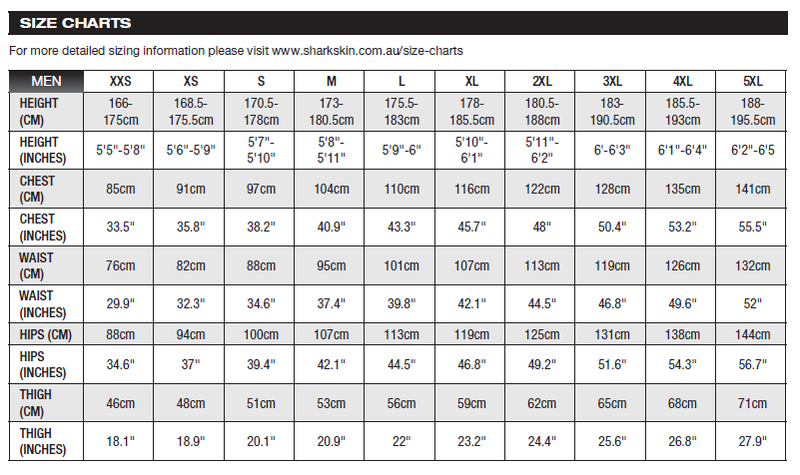 Sharkskin is the product of choice for water sports enthusiasts who enjoy their sport all-year-round... Regardless of the forecast! 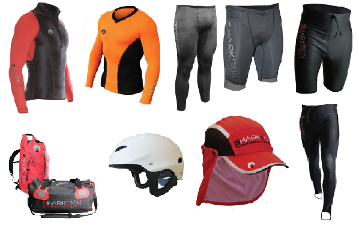 SharkSkin is a proprietary brand of Neptune Sports, Australia's largest manufacturer of water sports exposure protection products. 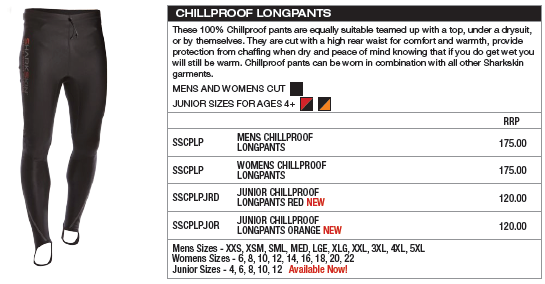 Chillproof is an aquatic specific, wind chill proof, 3-layer composite material with the thermal properties of a 2.5 to 3mm neoprene wetsuit that has been developed for water sports enthusiasts. The comfortable ‘hollow fibre fleece’ layer is next to the skin and ‘wicks’ moisture and sweat away from the body to help keep you dry. The second middle ‘technical’ layer is 100% windproof yet breathes to regulate body temperature while stopping wind chill. 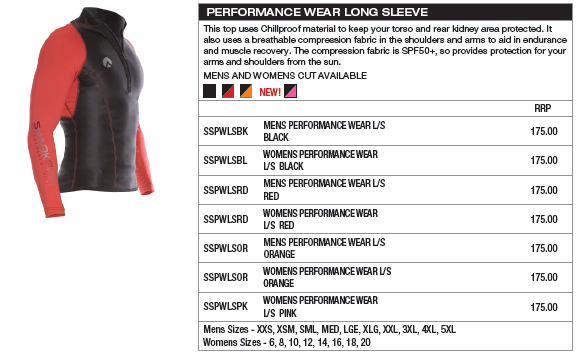 The third outer layer is a nylon/lycra blend for abrasion resistance and 4-way stretch. It is also UV resistant for sun protection and has a durable water repellent finish (DWR) to provide a protective shell that ‘sheds’ water. 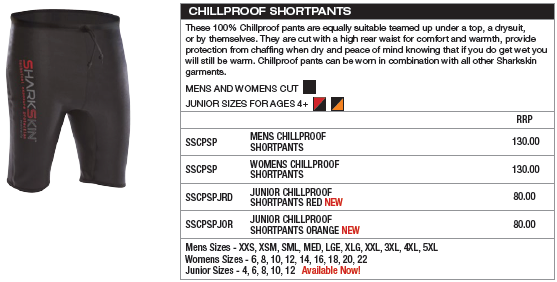 Sharkskin Chillproof is neutrally buoyant, anti-microbial, odour resistant, itch resistant and machine washable. 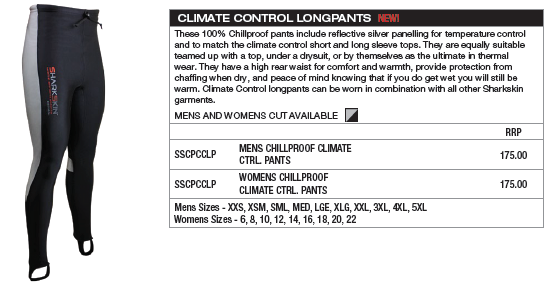 Climate Control has all the same features as the Chillproof garments with the added benefit of the addition of a marine grade zipper. This allows you to control the amount of heat you keep in by adjusting the zipper to suit the conditions. Rapid Dry is a lightweight, fast drying fabric in which the unwoven yarn is infused with a water repellent treatment (WRT). This method achieves a finish that is vastly more effective at shedding water and lasts much longer than traditional fabric treatments. 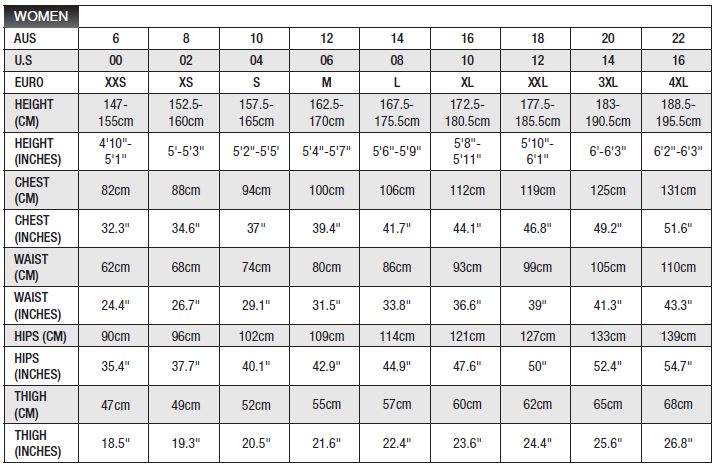 The Rapid Dry fabric is warmer than cotton and nylon/lycra synthetic fabrics when wet. It has an SPF50+ rating for full sun protection, is lightweight, breathable and durable. The Performance range has been created with the help of competition athletes. 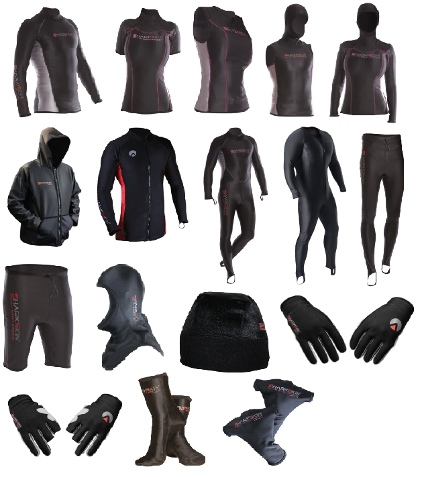 The designs use Chillproof material for full protection from the elements, flexible compression material to allow for maximum manoeuvrability during intense sport and neoprene for stretch and comfort. The different designs use heavy-duty zippers to control heat retention and mesh panels for ventilation to allow for maximum performance as weather conditions change or as your heart rate climbs. The Covert range utilises the patented built-in concealment technology of HECS StealthScreen to improve your dive experience. The different designs use materials woven with HECS’ conductive carbon fibres that trap and mask your naturally occurring electric signal output that many marine animals can detect and react to, enhancing your ability to get closer to marine life underwater. 1. All living things emit a faint electric signal. 2. 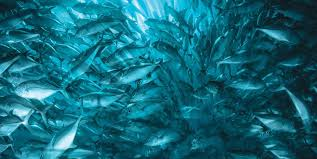 Some marine species can detect faint electric signals. 3. A conductive screen operating as a ‘Faraday’ shield can block electric signals.